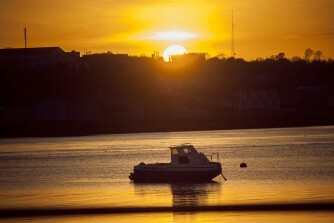 The Riverbank House Hotel is located across the Slaney Estuary bridge with views of the river and Wexford town. A perfect stroll across for some stunning shots. Inside the hotel, it is very atmospheric with the original victorian furniture. In the River Bar, you can enjoy a drink while looking out at the amazing view. 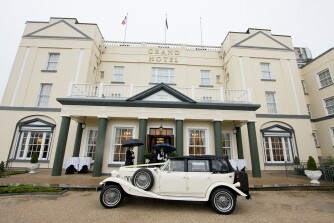 The Grand Hotel is set in Dublin’s unique coastal town of Malahide, a beautiful seaside setting. 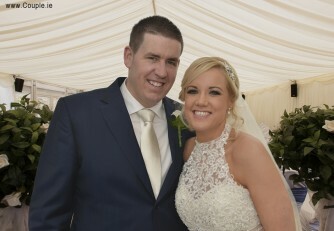 With the convenience of being near Dublin, but a setting that offers that beautiful seaside view. Couples love the iconic exterior of the hotel and that staircase! Ferrycarrig Hotel overlooks the River Slaney Estuary in Wexford. The hotel has made great use out of the view and the bar overlooks the waterfront as well. Inside there are beautiful ornate mirrors and plenty of natural light for photos. But, try to get out to walk along the middle of the lake or just take in the views on the decking. If you are feeling childish again, there is always the children’s playground for a swing or a slide but please, mind the dress! 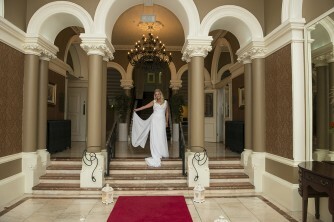 The Royal Marine Hotel & Spa is located in the scenic coastal region of Dun Laoghaire. The hotel dates back to 1828. Most couples if the weather is fine use Dun Laoghaire pier as their backdrop for photos, even visiting the famous Teddys Ice cream shop! That whole area provides many opportunities for photos. Back at the hotel, the entrance to the hotel is very beautiful for photos and inside there are many rooms, reception areas and a bright banqueting room for pictures. 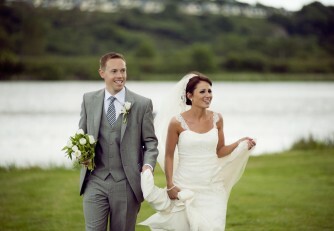 Seafield Hotel is located in Gorey, Co Wexford. It has a 18 hole golf course but most wedding couples love the fact it is so close to the beach. The beach is great for stunning pictures and some fun pics too. Back on the grounds of the hotel, there is a brighly lit marquee and entrance door. Inside, it is very modern and quirky with sculpures, modern mirrors and interesting furniture. It lends itself to some fashion style images!